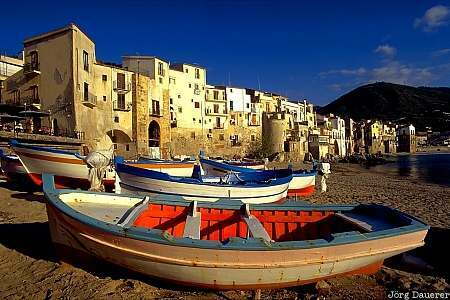 Fishing Boats in Cefalu on the north coast of the mediterranean island of Sicily in Italy. This photo was taken in the afternoon of a sunny day in April of 2001. This photo is part of the exhibition Fishing Boats (October 2009). This photo is in the Photo Calendar "Sizilien".